Amazon has its own voice calling (and messaging) service built into Alexa devices (and the app), but if you wanted to use your Alexa-powered hardware to make Skype calls instead, this will be possible before long. Microsoft has just announced that Skype calling is coming to Alexa devices, and will be rolling out “later this year”, so within the next few months. This will mean that you will be able to make and receive voice calls from your Echo, or indeed video calls if you have a device with a display (like the Echo Show). It doesn’t matter what the recipient’s hardware is, of course, so you obviously aren’t restricted to just calling people with Amazon’s devices. To make a call, all you’ll have to do is ask Amazon’s digital assistant: “Alexa, call Bob on Skype,” and Bob’s your uncle (which is presumably why you’re calling him). Microsoft didn’t say whether or not you’ll need to load up this functionality as a skill on your Alexa device, but that will likely be the case. Amazon and Microsoft are already working with each other to bring their two digital assistants – Alexa and Cortana – closer together in terms of cross-platform integration, with Cortana able to summon Alexa on Windows 10 devices, for example. 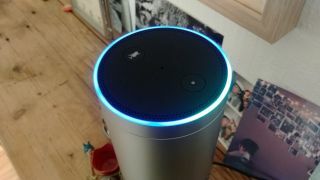 So the ability to use Skype via Alexa isn’t exactly an out-of-the-blue surprise. Indeed, we’ve most recently seen Xbox One users get the benefit of this broad initiative, thanks to a new Xbox Skill that allows you to hook up any Cortana or Alexa-powered device to your console. This lets you pull off tricks like using your Amazon Echo to navigate the Xbox One interface, or trigger a screenshot, adjust the volume and so forth. As ever, when big tech companies work together in this way, the consumer who owns the hardware is the winner, which is always good to see.